(1) You will show that you are not sluggish and servants to your flesh (as those that cannot deny it ease), and you will further the putting to death of all the fleshly lusts and desires that are fed by ease and idleness. (2) You will keep out idle thoughts from your mind, that swarm in the minds of idle persons. (3) You will not lose precious time, something that idle persons are daily guilty of. (4) You will be in a way of obedience to God when the slothful are in constant sins of omission. (5) You may have more time to spend in holy duties if you follow your occupation diligently. Idle persons have no time for praying and reading because they lose time by loitering at their work. (6) You may expect God’s blessing and comfortable provision for both yourself and your families. (7) It may also encourage the health of your body which will increase its competence for the service of your soul. Baxter’s education was largely informal; he later wrote that he had four teachers in six years, all of whom were ignorant and two led immoral lives. Nevertheless, he had a fertile mind, and enjoyed reading and studying. A prolonged illness and various books—particularly William Perkins’s Works—were the means God used to “resolve me for himself,” Baxter wrote (Reliquiae Baxterianae, 1:3-4). When he was fifteen, he was deeply affected by Richard Sibbes’s The Bruised Reed: “Sibbes opened more the love of God to me, and gave me a livelier apprehension of the mystery of redemption and how much I was beholden to Jesus Christ.” Subsequently, Ezekiel Culverwell’s Treatise of Faith (1623) “did me much good” (ibid., 1:4-5). Baxter’s education took a turn for the better when he transferred to the Wroxeter grammar school, where he received some tuition support from a schoolmaster named John Owen. His best teacher there was an erudite minister, Francis Garbet, who took a real interest in Baxter. At the age of sixteen, under Owen’s persuasion, Baxter decided to forego university in favor of placing himself under the instruction of Owen’s friend, Richard Wickstead, chaplain at Ludlow Castle, who tutored him rather half-heartedly for eighteen months. In 1633, Baxter went to London under the patronage of Sir Henry Herbert, Master of the Revels, in the court of Charles I. Joseph Symonds and Walter Cradock, two godly Puritan ministers in London, roused his sympathy for nonconformity, but he stayed in London only four weeks. Having become dissatisfied with the worldly court life in London and desiring to care for his ailing mother, he returned home in 1634; his mother died in May of 1635. He spent the next four years privately studying theology, particularly that of the scholastics, including Aquinas, Scotus, and Ockham. At age twenty-three, having as yet “no scruple at all against subscription,” and thinking “the Conformists had the better cause” (ibid., 1:13), Baxter was ordained deacon by John Thornborough, the elderly bishop of Worcester. For nine months he served as master of the school founded at Dudley, a center of nonconformity. In 1639, he became an assistant minister at Bridgnorth, Shropshire, where he developed a deeper appreciation for nonconformity. In 1641, Baxter became curate at Kidderminster. Though many among a rather corrupt and crude population of handloom workers were initially offended by his forceful preaching and stress on a controlled Lord’s Supper and on church discipline, his seventeen-year ministry there (1641-42, 1647-61) bore substantial fruit. He preached as “a dying man to dying men,” which, with the Spirit’s blessing, resulted in numerous conversions. His praying was no less intense: “His soul tookwing for heaven and rapt up the souls of others with him” (Leonard Bacon, Select Practical Writings of Richard Baxter [New Haven, 1831], 1:262). During the early days of the Civil War, Baxter supported, and on occasion accompanied, the Parliamentary Army. He preached before Cromwell, but he was uncomfortable with the Protector’s toleration of separatists. Though he was only an occasional “conformer,” Baxter favored being part of an established church and opposed the Solemn League and Covenant of 1643. He also believed that the antinomian tendencies of some of the soldiers and preachers, such as Tobias Crisp and John Saltmarsh, were antithetical to practical Christian living. Their teaching prompted him to write Aphorisms of Justification (1649), in which he argued for a combination of divine grace and human cooperation in justification. After he recovered, Baxter returned to Kidderminster, where he concentrated on writing. “My writings were my chiefest daily labor,” he wrote, whereas “preaching and preparing for it, were but my recreation” (Reliquae, p. 85). He also catechized church members two days each week. He went from home to home with an assistant, speaking with each family for one hour and providing each family with an edifying book or two, usually written by himself. He said of these visits, “Few families went from me without some tears, or seemingly serious promises [to strive] for a godly life.” He added, “Some ignorant persons, who have been so long unprofitable hearers, have got more knowledge and remorse of conscience in half an hour’s close disclosure, than they did from ten year’s public preaching” (ibid., 1:83ff.). The home visits bore fruit. The congregation kept overflowing its meeting place so that five galleries had to be added. When Baxter came to Kidderminster, scarcely one family on each street among the 800 families honored God in family worship. By the end of his ministry in 1661, there were streets on which every family did so. On the Sabbath, he writes, “you might hear an hundred families singing Psalms and repeating sermons, as you passed through the streets.” Of the approximately six hundred people who became full communicants under his ministry, he adds, “There was not twelve that I had not good hopes of, as to their sincerity” (ibid., 1:84-85). Baxter worked hard, despite chronic pain from the age of twenty-one until the end of his life. He suffered from tuberculosis and feared consumption. 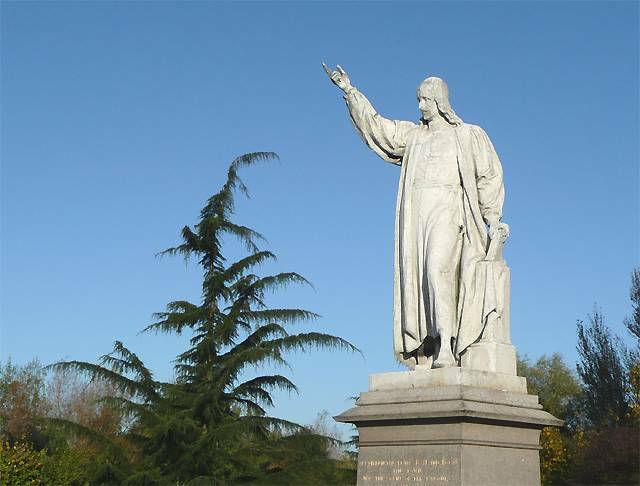 In the years following the Restoration, he left Kidderminster for London, where he often preached at St. Dunstan’s and lectured at Pinner’s Hall and Fetters Lane. He pleaded in vain, however, at the Savoy Conference (1661) for the non-prelatical, synodical form of episcopacy devised by Archbishop James Ussher (1581-1656) and for a Puritan revision of the Prayer Book. In 1662, Baxter was ejected from the Church of England by the Act of Uniformity. He continued to preach for the rest of his life where he could, but never gathered a congregation of his own. J. I. Packer writes, “Miscalled a Presbyterian, Baxter was a reluctant Nonconformist who favored monarchy, national churches, liturgy and episcopacy, and could accept the unsympathetically revised 1662 Prayer Book. But the 1662 Act of Uniformity required renunciation on oath of Puritan ideals of reformation as a condition of incumbency in the restored Church of England, and Baxter balked at that” (New Dictionary of Theology, p. 83). After his ejection, when he was almost fifty, Baxter married one of his converts, Margaret Charlton, who was in her early twenties. The disparity of their ages caused some consternation for a time, but the excellence of their marriage in Christ silenced the rumors. Margaret proved to be a devout Christian and faithful wife who earnestly yearned for the salvation of souls. Baxter’s tenderness toward her, and her godliness, are described in Breviate of the Life of Mrs. Margaret Baxter (1681). There Baxter writes that he “never knew her equal” in practical divinity, for she was “better at resolving a case of conscience than most Divines that ever I knew.” Consequently, Baxter habitually shared all cases with her except for those that compelled confidentiality (Breviate, pp. 67-68). The Baxters settled in London. Prelates and magistrates hounded Baxter for most of his remaining years. He was imprisoned at least three times for preaching and never again resumed a pastoral charge; even his books were taken from him. His response was, “I found I was near the end of both that work and that life which needeth books, and so I easily let go all.” Once, even the bed on which he was lying sick was confiscated. Baxter eventually benefited from the Toleration Act of 1689, introduced by William and Mary to protect nonconformists. His last days were spent in the pleasant surroundings of Charterhouse Square. He occasionally preached to large crowds there, but he spent most of his time writing. When he was dying and a friend reminded him of the benefits many had received from his writings, Baxter replied, “I was but a pen in God’s hand, and what praise is due to a pen?” By the time he died on December 8, 1691, Baxter had written about 150 treatises, as well as hundreds of unpublished letters and papers. Baxter’s writings are a strange theological mix. He was one of a few Puritans whose doctrines of God’s decrees, atonement, and justification were anything but Reformed. Though he generally structured his theology along Reformed lines of thought, he frequently leaned towards Arminian thinking. He developed his own notion of universal redemption, which offended Calvinists, but retained a form of personal election, which offended Arminians. He rejected reprobation. He was greatly influenced by the Amyraldians and incorporated much of their thinking, including hypothetical universalism, which teaches that Christ hypothetically died for all men, but His death only has real benefit to those who believe. For Baxter, Christ’s death was more of a legal satisfaction of the law than a personal substitutionary death on behalf of elect sinners. Baxter’s approach to justification has been called neonomianism (that is, “new law”); he said that God has made a new law offering forgiveness to repentant breakers of the old law. Faith and repentance—the new laws that must be obeyed—become the believer’s personal, saving righteousness that is sustained by preserving grace. Baxter’s soteriology, then, is Amyraldian with the addition of Arminian “new law” teaching. Happily, these erroneous doctrines do not surface much in Baxter’s devotional writings, which are geared mainly to encourage one’s sanctification rather than to teach theology. Baxter professed to resent having to write polemical treatises: “Controversies I have written of, but only to end them, not to make them.” Hans Boersma has shown, however, that though irenic in some respects, Baxter could be provocative as well (see A Hot Pepper Corn: Richard Baxter’s Doctrine of Justification in its Seventeenth-Century Context of Controversy [Zoetermeer: Boekencentrum, 1993]). If thou die unconverted, there is no doubt to be made of thy damnation; and thou are not sure to live an hour, and yet art thou not ready to turn and to come in? Oh miserable wretch! Hast thou not served the flesh and the devil long enough yet? Hast thou not enough of sin? Is it so good to thee? or so profitable for thee? Dost thou know what it is, that thou wouldst yet have more of it? Hast thou had so many calls and so many mercies, and so many blows, and so many examples? Hast thou seen so many laid in the grave, and yet art thou not ready to let go thy sins and come to Christ? What? After so many convictions and gripes of conscience, after so many purposes and promises, art thou not ready yet to turn and live? Oh that thy eyes, thy heart were opened to know how fair an offer is now made to thee! and what joyful message it is that we are sent on, to bid thee come, for all things are ready (pp. 70-71). Stressing that sinners “die because they will die; that is, because they will not turn,” Baxter says, “So earnest is God for the conversion of sinners, that he doubleth his commands and exhortations with vehemency, Turn ye, turn ye; why will ye die?” Discernment is necessary in reading this book, since Baxter’s unsound views do occasionally surface. Dying Thoughts (Baker; 144 pages; 2004). Based on Philippians 1:23, “For I am in a strait betwixt two, having a desire to depart, and to be with Christ, which is far better,” Baxter sets forth a proper attitude towards the present life and the life hereafter. Dying Thoughts was written shortly before Baxter’s death in 1691. It breathes a spirit of vital faith in the promises of God. This reprint was abridged by Benjamin Fawcett. It also contains an excellent introductory essay by Edward Donnelly, “A Corrective for Reformed Preachers,” which gleans practical lessons for ministers from Baxter’s preaching. The Practical Works of Richard Baxter (SDG; 4 vols., 4,201 pages; 2000). Baxter authored about 150 books, of which several were folios of more than a million words. If his entire works were ever to be printed, they would amount to more than double the size of Owen’s. Most of Baxter’s books are homiletical, catechetical, biographical, historical, practical, philosophical, ethical, or polemical in nature, though he also published commentaries, poetry, and politics. Keeble writes, “Puritanism had always utilized the press, but there had never been a literary career like this, either in scale or in success: Baxter was the first author of a string of bestsellers in British literary history” (Oxford DNB, 4:430). Baxter’s practical writings were usually the most popular. His Practical Works were published in four folio volumes in London in 1707, then helpfully edited by William Orme and republished in twenty-three volumes in 1830, after which H. R. Rogers’s four-volume set was published in 1868. The SDG reprint in 2000 is of the Rogers set. answers to man’s most important questions. Volume 2, titled A Call to the Unconverted (1658), contains that work unabridged, plus eleven treatises, including The Reasons of the Christian Religion, The Unreasonableness of Infidelity, A Treatise of Conversion, and The Character of a Sound, Confirmed Christian. Volume 3 contains The Saints’ Everlasting Rest (1649), A Treatise of Self-Denial (1659), Dying Thoughts (1683), and other miscellaneous treatises. Volume 4 contains the unabridged version of the masterful treatise The Reformed Pastor (1656), as well as The Catechising of Families, The Vain Religion of the Formal Hypocrite, various sermons, and thirteen smaller treatises, including The Cure of Melancholy and Overmuch Sorrow, by Faith—perhaps the most undervalued work of Baxter. In it, Baxter, as a physician of souls, probes with remarkable insight into the human psyche and offers suggestions for the cure of depression and other mental ailments. For example, Baxter says, “As much as you can, divert them from the thoughts which are their trouble; keep them on some other talks and business; break in upon them and interrupt their musings; rouse them out of it, but with loving importunity; suffer them not to be long alone; get fit company to them, or them to it; especially, suffer them not to be idle, but drive or draw them to some pleasing works which may stir the body, and employ the thoughts” (Practical Works, 4:933). The Reformed Pastor (BTT; 256 pages; 1999). Abridged from the original work, this edition offers a more accessible look at Baxter’s pastoral theology. Writing this book out of a deep determination to rectify the pastoral neglect he had experienced as a young man in the West Midlands, Baxter describes in zealous detail the oversight pastors are to have over themselves first and then over their flocks, out of heartfelt love for souls (Acts 20:28). By “Reformed” in the title, Baxter does not only mean that pastors should be “Calvinistic,” but they must be “revived.” He excels in convincing ministers of their high calling to pursue personal revival and to take up their work seriously and prayerfully. Certain portions of this book are remarkably convicting, such as Baxter’s denunciation of pastoral pride. He also offers much practical guidance for dealing with the perennial problems of instructing and guiding the church. This is Baxter at his best. Reliquiae Baxterianae (RE; 312 pages; n.d.). This work contains considerably less than half of the original which first appeared in 1696 under the editorship of Matthew Sylvester. While the original, which has never been reprinted in its entirety, has been called “a confused and shapeless hulk,” it remains an important source for seventeenth-century history. Edmund Calamy (1671-1732) condensed Baxter’s work into a more readable edition and published it in 1702. In 1925, J. M. Lloyd Thomas edited an unsatisfactory abridgment, The Autobiography of Richard Baxter (London: Dent). The current edition, published in the 1990s, though uneven in quality, contains fascinating insights into Baxter’s life and offers valuable nuggets of wisdom, particularly for ministers. The Saints’ Everlasting Rest (CFP; 704 pages; 1999). This is deservedly one of the most valued of Baxter’s practical works. He wrote most of the book when he was far from home and had no book but the Bible to consult. Being ill for many months and expecting to die, he fixed his thoughts on the believer’s eternal rest in Christ. After he recovered, Baxter preached these thoughts in his weekly lectures at Kidderminster. Thomas Doolittle, a native of Kidderminster who later became a well-known Puritan minister and author, dated his conversion to the time when he heard these lectures. *Excerpt from Meet the Puritans by Dr. Joel Beeke and Randall J. Pederson.